As Black Mirror fans count down the days before the new series begins on Netflix – we’d like to blow your minds about the episodes filmed in London. They aren’t the ones you might expect. San Junipero, the first episode, is set in a sunny Californian beach town in the late Eighties. But it was filmed largely in Islington’s moody Electrowerkz nightclub, in November last year. 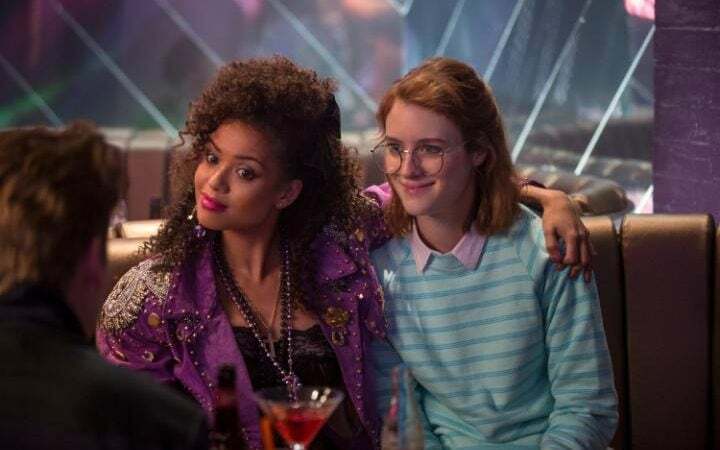 Reviewers have been saying, the “twist” is not the point, as terrific performances by Gugu Mbatha-Raw and Mackenzie Davis build to a surprisingly emotional climax. Kingston features in the more sobering second episode Shut Up and Dance, with technology and human weakness spiralling out of control. Filmed in November last year, a lead character cycles from work, across Wood Street, Fife Rd, Castle Street, Skerne Road, Canbury Passage and Canbury Place Car Park. Being dark, and set in the present day, this episode is expected to among the most disquieting. Hated in the Nation made extensive use of Lambeth and also dropped in to Camden. Starring Kelly Macdonald of Boardwalk Empire and Trainspotting fame, there a scant details about the storyline, although Brooker has said, “It deals with online rage. It starts out like a stylish standard police procedural, then takes a bizarre turn.” It is Black Mirror’s first-ever 90-minute episode. The Mursell Estate features heavily – and the production made generous donations to both Albert Square and Mursell Estate residents associations during filming in April this year. We do know that from the eighth floor of the Rundell Tower, two actors watch a dozen officers and marked cars arriving. They form a police cordon to protect the pair. In Lambeth’s Durand Gardens, police set up a crime scene after a woman kills herself, and neighbours tie flowers to a lamppost. Outside Senate House in Camden, armed police and police cars are called in to deal with a public protest. FilmFixer director Andrew Pavord says, “Black Mirror might be going global with the brilliant new Netflix deal, but we were thrilled that Charlie Brooker and the production stayed here in London to film. We know our city can double as almost anywhere in the world. We’ve just seen Croydon double as Istanbul for example, on another big shoot. “Congratulations to the production team for a brilliant piece of work. The episodes act as stand-alone dramas, so we dealt with each production on that basis. In Lambeth in particular we were really pleased with the positive impact on Mursell Estate and Albert Square residents. The new series begins on Netflix on October 21st and Charlie Brooker will be giving a talk at the London Film Festival on October 6th.